No one looks forward to dealing with disaster, but when it strikes unexpectedly, you can proceed with confidence if you are ready for the unpredictable. Everyone should be organized for the hurricanes, wildfire, or any calamity that requires you to leave your home and seek shelter. Hotels, and motels fill up quickly in emergencies, and most public shelters will not allow you to bring your pets. 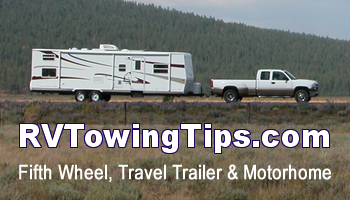 If you are fortunate enough to have a travel trailer, you can use it as an emergency shelter. If you have ever lived where a hurricane, blizzard, or other severe weather is predicted, you know that the grocery store supplies deplete quickly. Even if you shop as soon as you hear the news, chances are all of the bottled water will be gone when you get there. Realistically, you need food and water for a week – and don’t forget your pets. Plan simple meals, and purchase what is necessary. Use freeze-dried foods as much as possible. Ensure that you have propane for cooking. Include cleaning supplies as you pack. Pack clothing suitable for your climate, and the season. 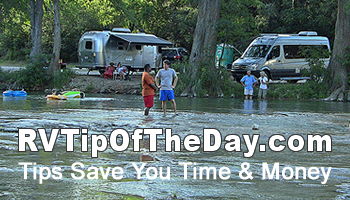 Store copies of all of your important papers in the RV in case you lose your home. Have a list of possible safe parking areas in the travel trailer with maps and directions to get to each of them. Keep your vehicle’s gas tank filled up, and store extra gasoline to take with you. 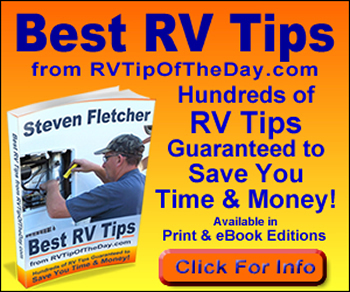 Maintain your RV in good mechanical condition, and check the fluids regularly. Remember to take a battery operated radio, and replacement batteries. You might put some games and books on board as well. If you have everything ready to go, you will save precious minutes when they count. Each person who will be evacuating in case of an emergency should have a job to do. Someone may be responsible for getting the pets into the RV. Another may be in charge of any medications. Assign a person to do a head count. You can probably think of other things that need to be on the list. Once a month schedule a rehearsal emergency where everyone is responsible for his evacuation chores. Disasters can happen without warning. With some forethought, and preparation, you and your family will be ready for almost immediate evacuation. Plan, and keep your head. 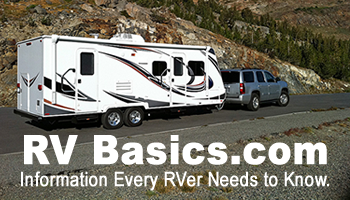 There are many RVs from which to choose. Be informed! You’ll find a great selection of used RVs for all budgets and needs at http://www.pedatarvcenter.com/ or call 866-545-8314, or email: sales@pedatarvcenter.com. Living Together 24-7 in an RV – How Do You Do It? One Response to "Your Travel Trailer As an Emergency Shelter"
It would be great if there were grants or places who donate travel trailers or RV’s so people could have a home. It would be so much cheaper and so many more would not be on the street and would be able to relocate easier for work and still have a roof over their heads. I have been scrambling to just help three families and it is the hardest thing to acquire.